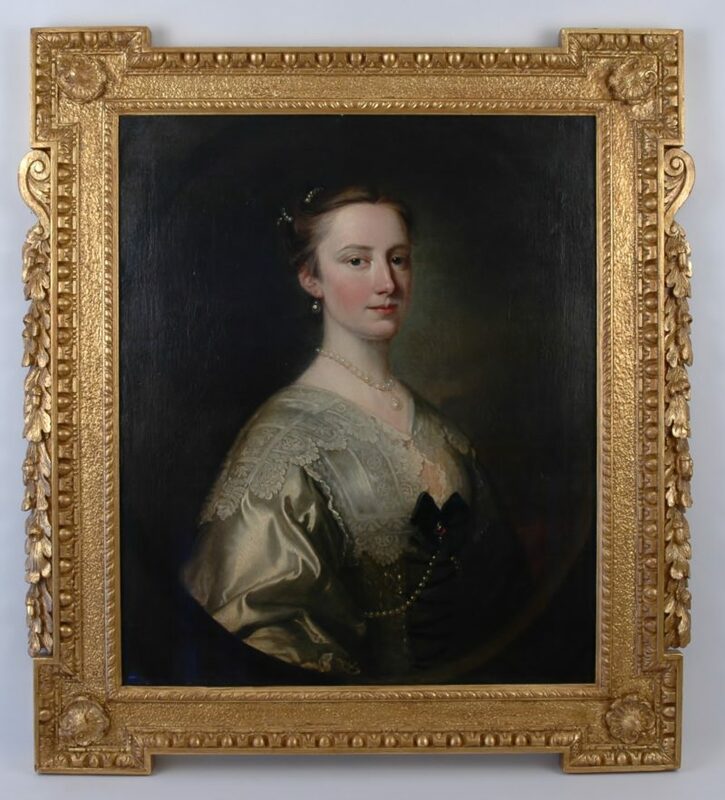 Oil on canvas- Relined in the late 19th or early 20th century. 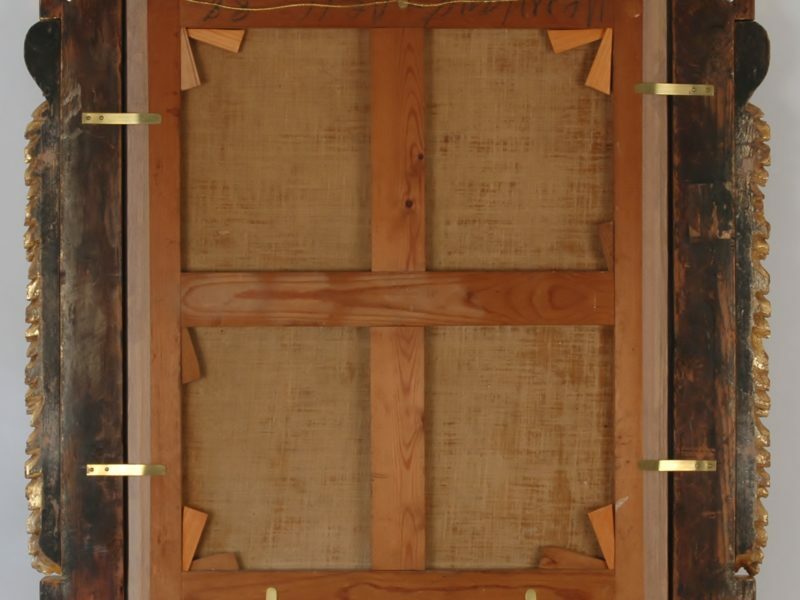 The carved wood frame regilded in 2016. 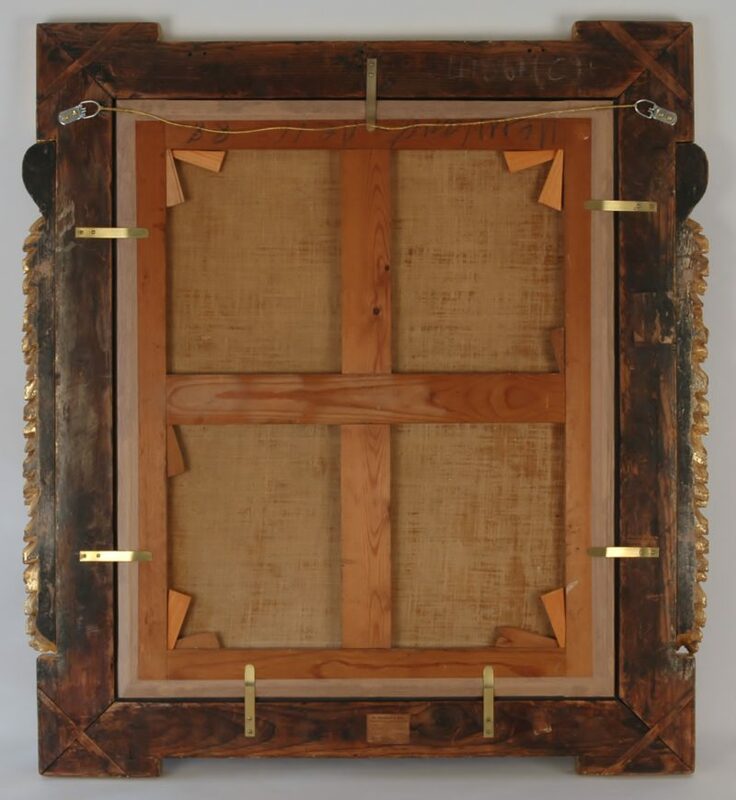 Dimensions: Half Length- 75 cm high (29,5 inches) by 62,5 cm (24,6 inches) wide. The stretcher with the trade label of: “W. 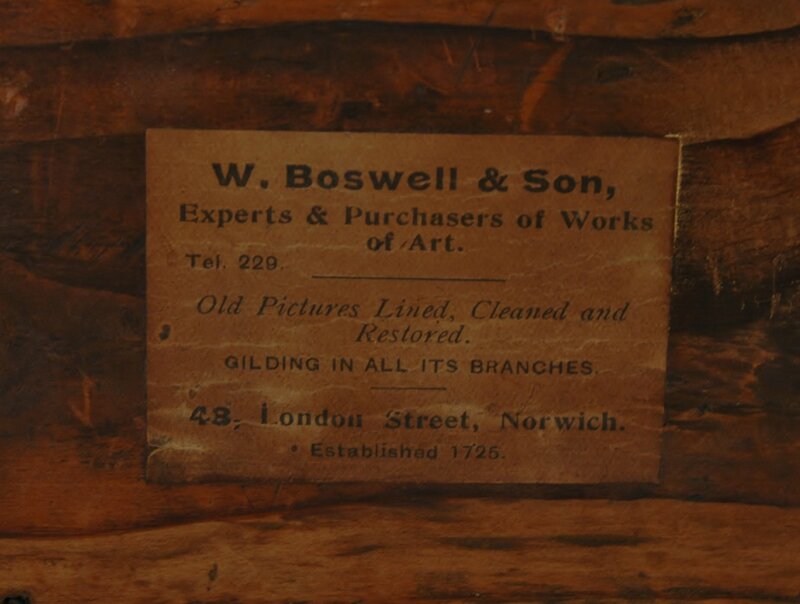 Boswell & Son, Experts & Purchasers of Works of Art- 48, London Street, Norwich”. They were at these premises from 1883-1929. 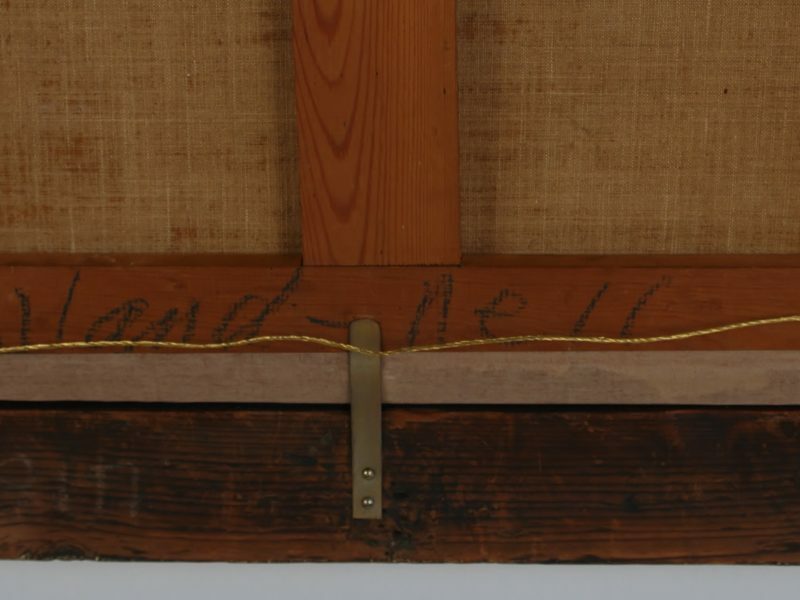 Stephan Welz & Co- Sold 2015- Information from the family who owned it as supplied by Stephan Welz & Co – “The work was brought to South Africa by the owner’s mother who came from Ditchingham in Suffolk. Her maiden name was ‘Turner’ and she was related to the late Sir Rider Haggard, in whose home this work hung as well. The sitter is possibly a family member”. 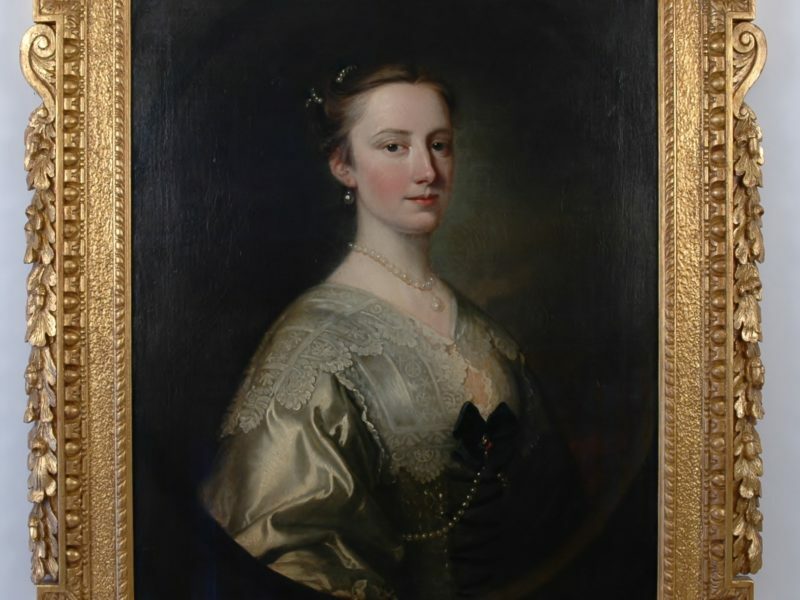 He was an English portrait painter born in Devon who studied under Jonathan Richardson. Active between 1740-1775 he was regarded as one of the leading portrait painters who specialised in a formal style of portraiture. 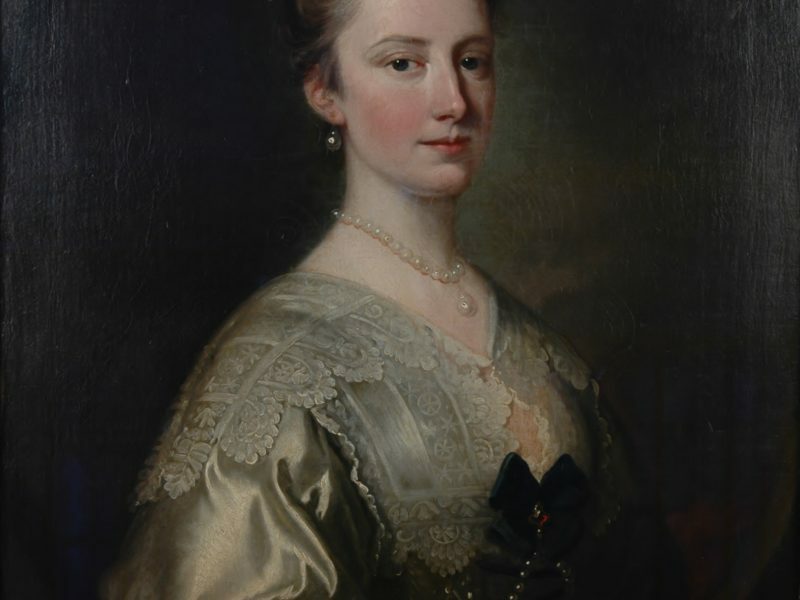 From the mid 1740’s Hudson was the most fashionable painter in London, his main rival being Allan Ramsay with whom he shared a drapery painter, Joseph Vanhaecken (c. 1699-1749). 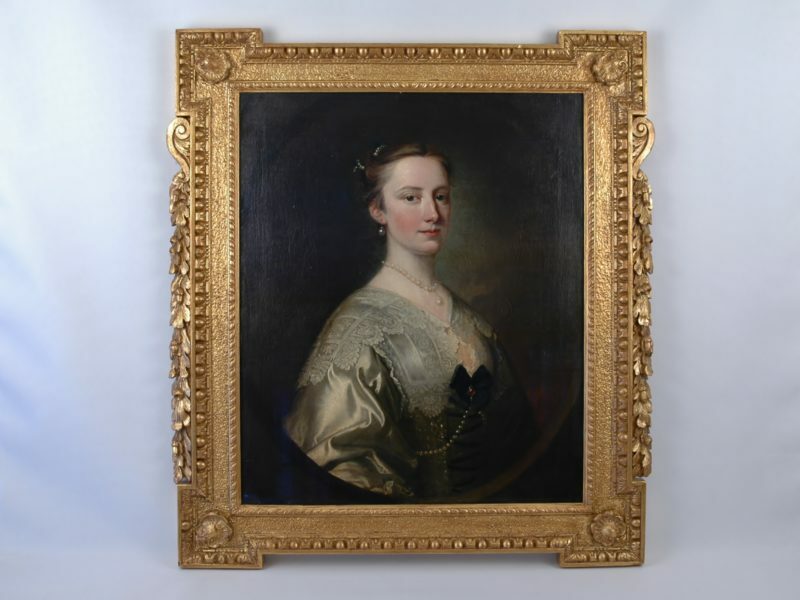 He had a number of students including Joseph Wright and Joshua Reynolds who was to become a rival towards the end of his career. He retired toward the end of the 1750s and died at Twickenham in 1779. After his death his extensive private art collection was sold off in three separate sales. Born in Edinburgh, Scotland in 1713 he was the eldest son of Allan Ramsay the poet and author of ‘The Gentle Shepherd’. He studied in London under the Swedish painter Hans Hysing leaving in 1736 for Rome and Naples, where he worked for three years under Francesco Solimena and Imperiali (Francesco Fernandi). He returned to London in 1738 where he established a studio in Covent Garden and his reputation as a portrait painter flourished. He is recognised as one of the outstanding painters of his period, especially for his delicate and sensitive portraits of women. His only serious competitor was Thomas Hudson (1701–1779) with whom he shared a drapery painter, Joseph Vanhaecken (c. 1699-1749). In 1767, Ramsay was appointed to succeed John Shackelton as Principal Painter in Ordinary to George III, beating Thomas Hudson to the post. As a result of a fall which injured his arm in 1773, Ramsay was left with discomfort and this limited his artistic output. He lived for several years in Italy recuperating and enjoying his literary pursuits. On his return to England on the 10th of August 1784 he died at Dover, at the age of 71. 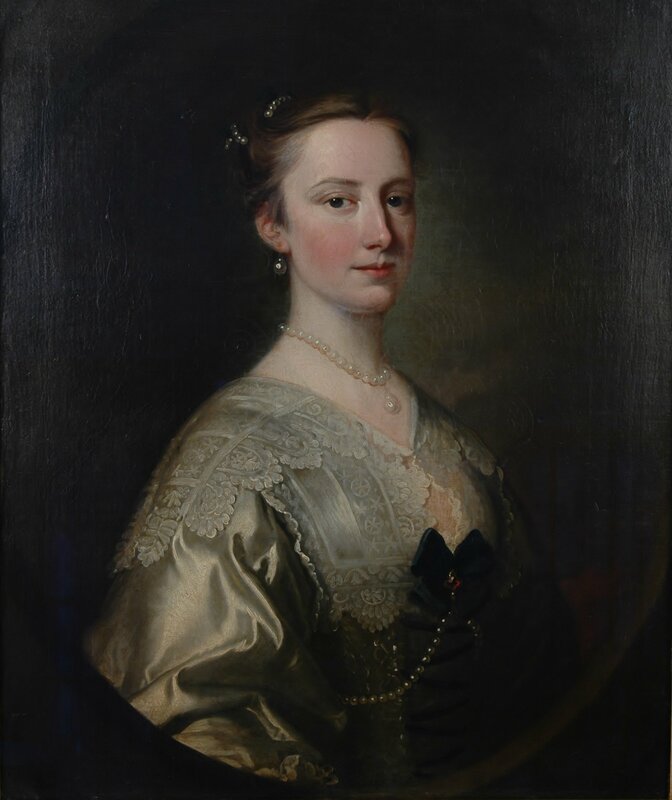 As was customary in 18th century London studio organisation, both Hudson and Ramsay employed Joseph Vanhaecken (c. 1699-1749) the Flemish painter who specialised in painting draperies, velvets, silks and satins. 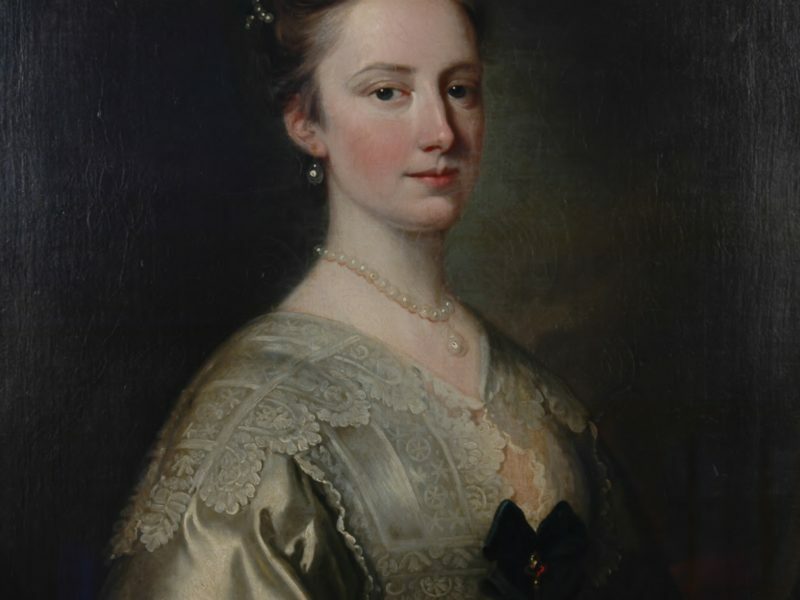 In practice they would have concentrated on painting the face, while Joseph Vanhaecken noted for his skill in painting fabrics, would have painted the clothes. 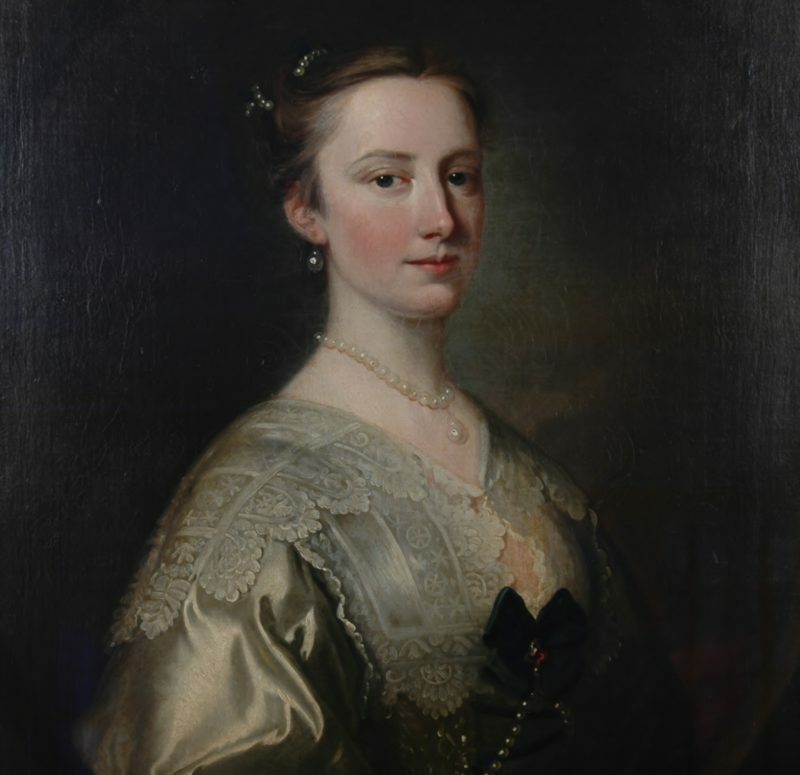 In ‘Allan Ramsay- A Complete Catalogue of his Paintings by Alistair Smart’ on page 7: “Vertue (George Vertue the English engraver and antiquary) himself conceded that Vanhaecken’s participation made portraits ‘so much on a Level that its very difficult to know one hand from another’. As Smart concedes “The arrangement worked well for everybody, except for the art historian trying to distinguish Ramsay from Hudson in the 1740s”.